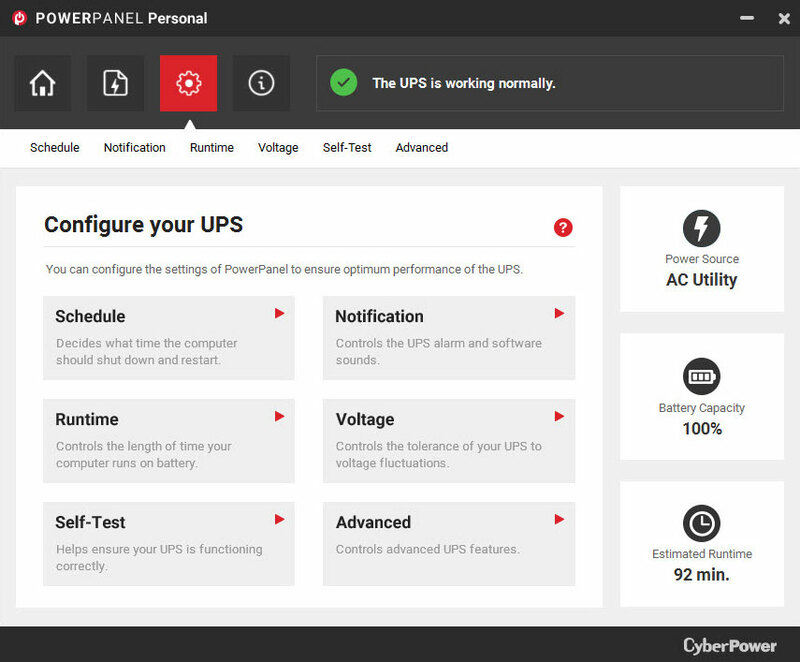 CyberPower has redesigned its PowerPanel® Personal software. This FREE software features a user-friendly interface to control and monitor any of our UPS systems through the USB or serial communication port. *scheduled shutdowns and email notifications only available on Windows. 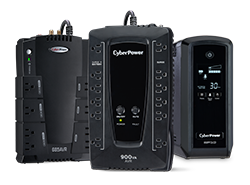 A CyberPower UPS System provides battery backup power to keep your devices up and running in the event of power problems, such as a power outage. 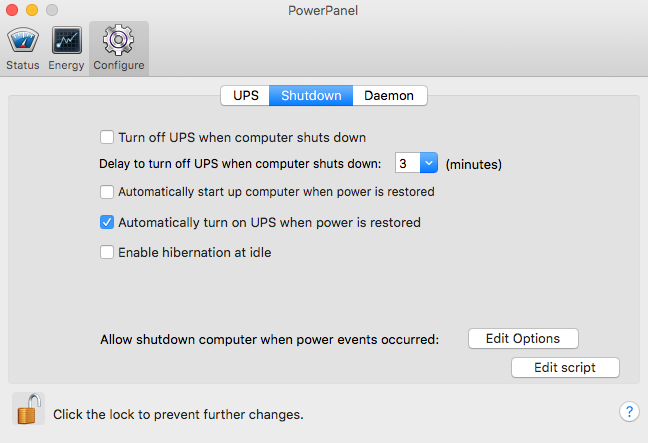 Connect your UPS via USB or serial cable to your computer or storage device and install PowerPanel® software to automate a graceful shutdown when there’s a power outage. 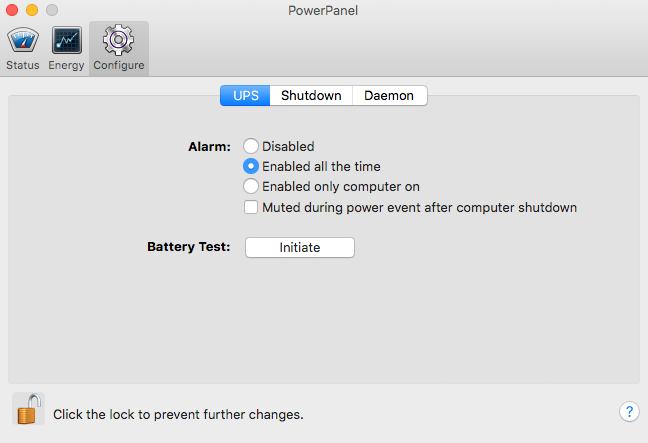 PowerPanel will trigger the operating system to shutdown, save all open files, and help prevent data corruption or data loss. PowerPanel® Personal protects your important documents, pictures, and videos by automatically triggering the operating system to shut down. 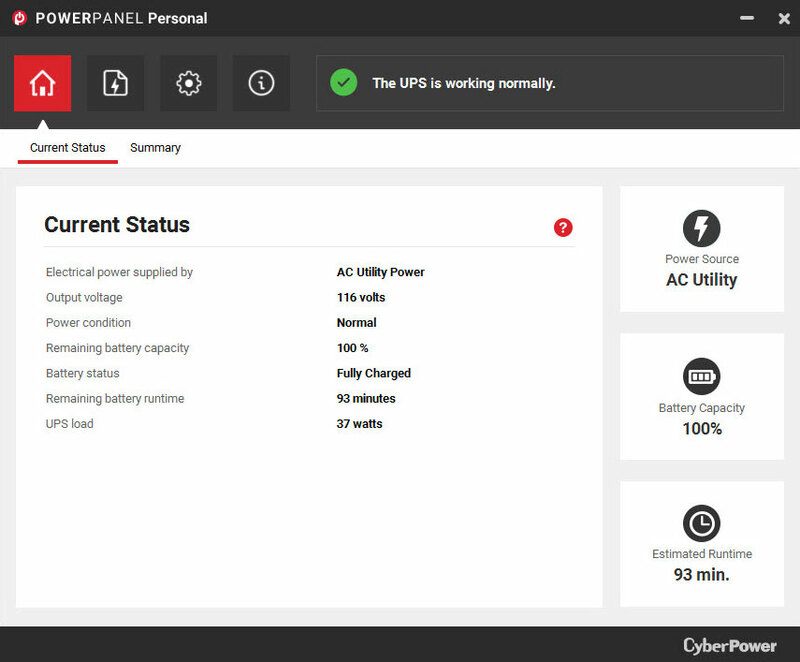 PowerPanel® Personal makes the most vital information about your UPS, power source, battery capacity, and runtime, immediately visible on your computer. PowerPanel® Personal monitors and tracks your UPS system's power consumption and reports the cost of powering devices. 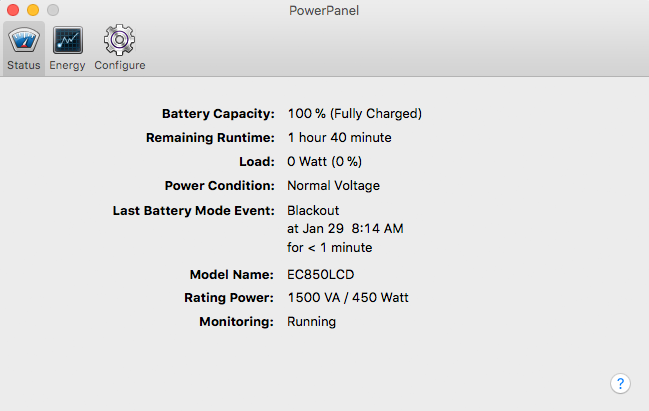 Shows power, battery, and UPS status. Main UPS configuration screen to make changes to Schedule, Notification, Runtime, Voltage, Self-Test, and Advanced settings. NEW! 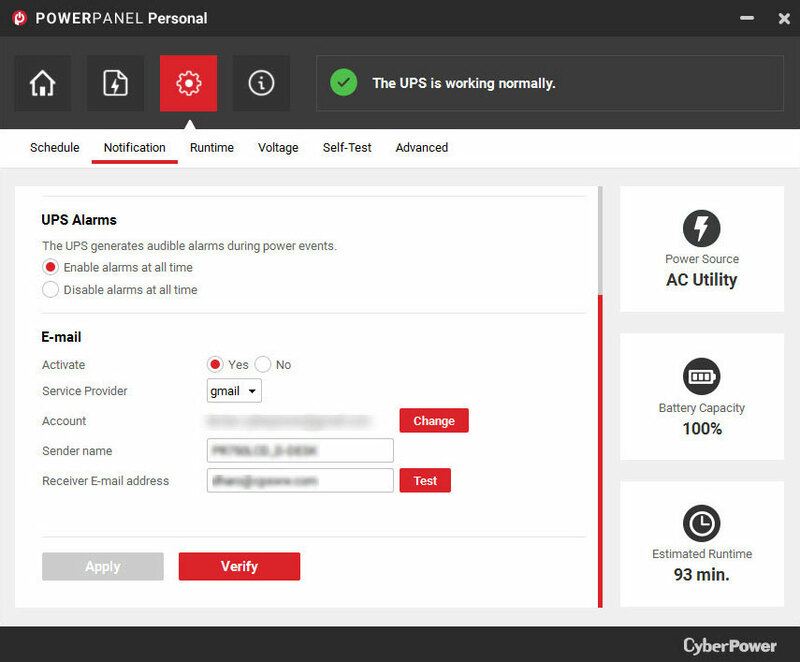 PowerPanel Personal supports email notifications for UPS power events. Shows UPS information and current UPS status. Shows Daemon configuration, shutdown action settings, and low battery actions. Shows current UPS status and UPS information. Allows users to set alarm status and initiate battery test. Allows user to set computer and UPS shutdown settings. 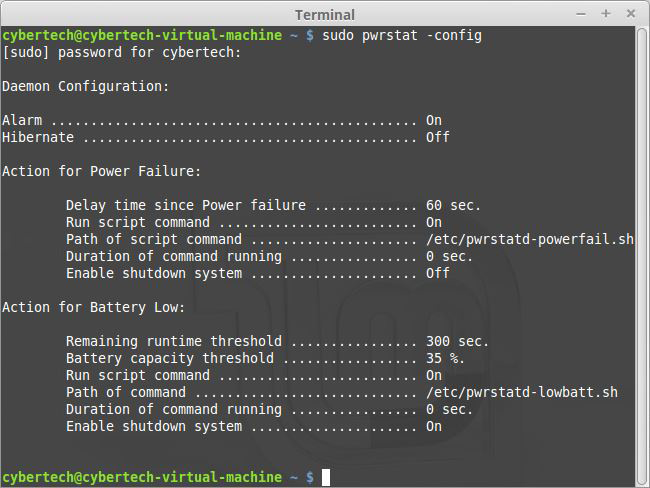 *PowerPanel for Linux supports most builds. This list includes builds that have been tested with the current released version. **CyberPower reserves the right to change, without prior notice, marketing programs, product offerings or specifications.